Google, a company that's built everything from a search engine to a self-driving car, will now try its hand at a city neighborhood. 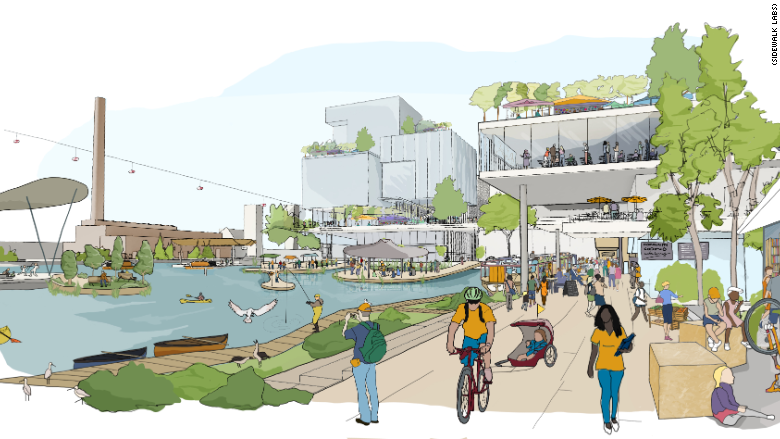 Sidewalk Labs, an urban innovation company owned by Google's parent company Alphabet, is teaming with Toronto to begin planning a neighborhood designed as a model for urban life in the 21st century. This photo shows the land that will be subject to redevelopment. In an ambitious proposal, Sidewalk Labs promised to make the weather more comfortable to enjoy the waterfront. It also believes it can reduce greenhouse gas emissions by 73%, potable water consumption by 65% and landfill waste generation by 90%. 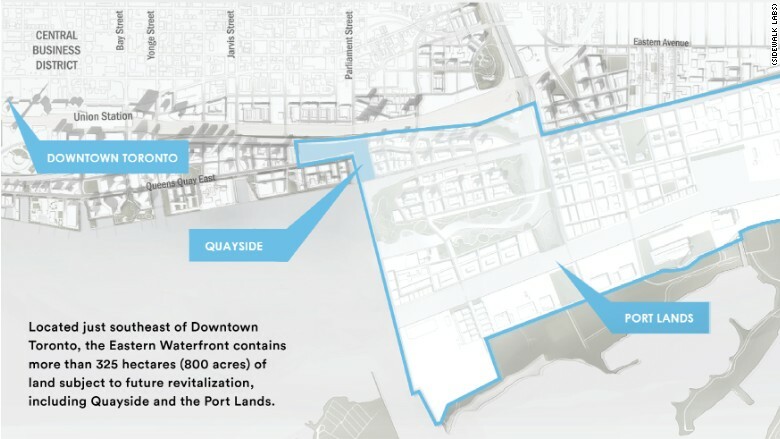 The partnership will start with a small area of land in Toronto, but leaders hope the best practices will expand to more of the waterfront, and around the world. Transportation would be prioritized around walking, cycling and shared electric vehicles. There would be more flexibility in zoning to allow for a blend of land use for residential, commercial and other uses. 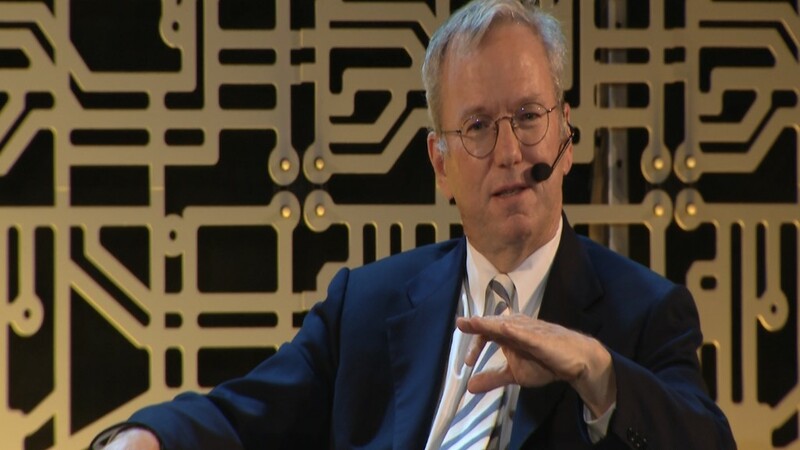 "This is not some random activity from our perspective," Alphabet chairman Eric Schmidt said at a news conference Tuesday. "This is the culmination of 10 years of thinking about how technology can improve the quality of people's lives." Sidewalk Labs describes the neighborhood as being built not from the ground up, but from the "internet up." There will be high-speed communication networks, as well as long-range, low-bandwidth connectivity. The latter is critical for placing sensors in public spaces and buildings to report environmental data such as carbon monoxide, noise, vibration and temperature. 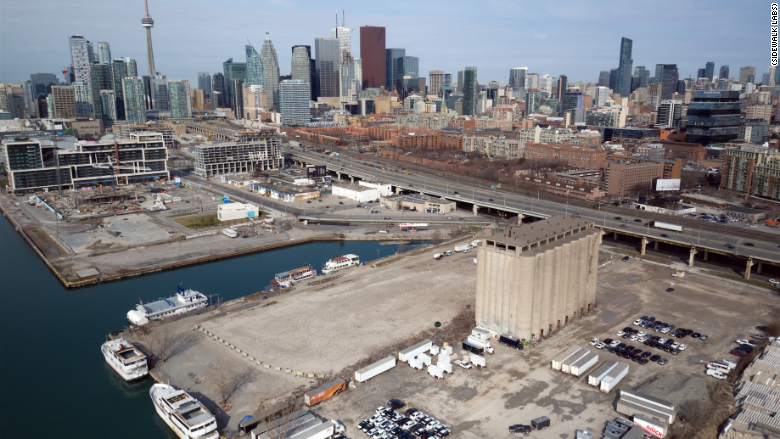 Leaders from Google and the Canadian government said Tuesday that they hope the model will scale to additional land ripe for redevelopment along Toronto's waterfront, and all over the world.